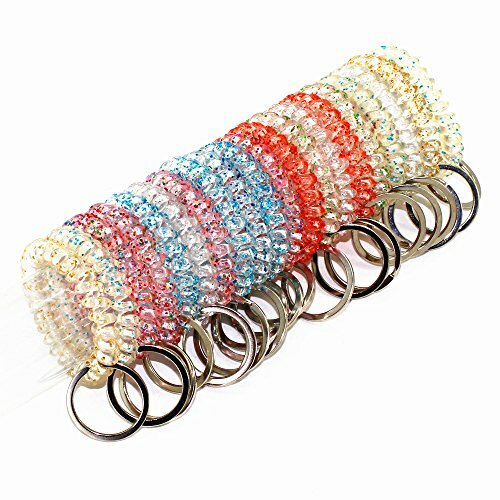 Flexible coil wristband, fit perfectly and comfortably around your hand. 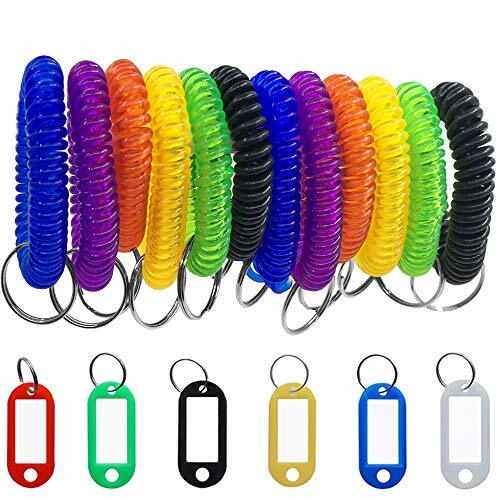 High quality plastic, easy to hold your key. Perfect for carrying keys. Great for home,office,workshop,shopping mall,sauna and other outdoor place home, office, etc. --Specifications-- Color:Colorful Transparent. Material: Plastic, metal Inner diameter approx. 1.6"/4cm;Outer diameter approx. 2.2"/5.5cm(Can be stretched) Nickel plated steel split ring size: 0.98" / 25mm . 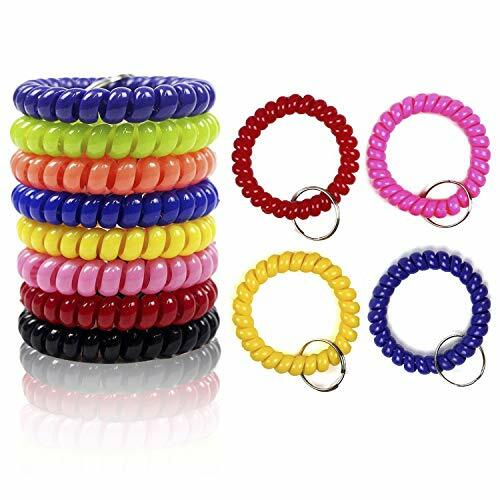 --Package included-- 30pcs Spring Wristband with Key Ring --Warm prompt--- Please be reminded that due lighting effects, monitor's brightness/contrast settings etc, there could be some slight differences in the colour tone of the website's photo and the actual item. Thanks for your understanding and happy purchase! 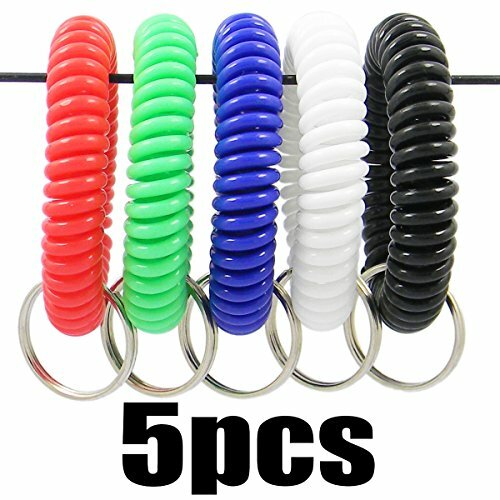 These colorful spiral coil wrist key ring made from high quality durable plastic. Soft and flexible that fits any size wrists. 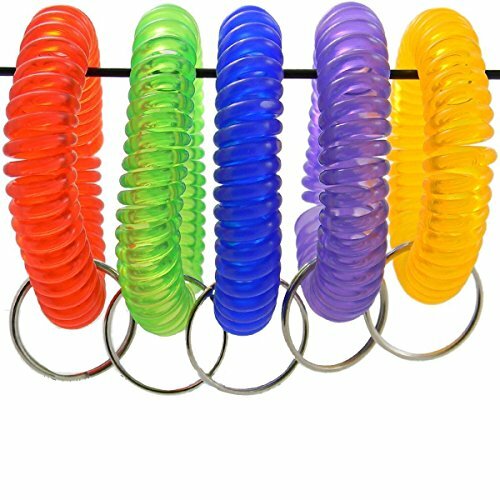 With bright colors that easily attract eyes. Great for Sauna, Shopping mall, Home, Office and any other outdoor activities places. Adecco LLC is a registered trademark,Only authorized sellers can sell it. 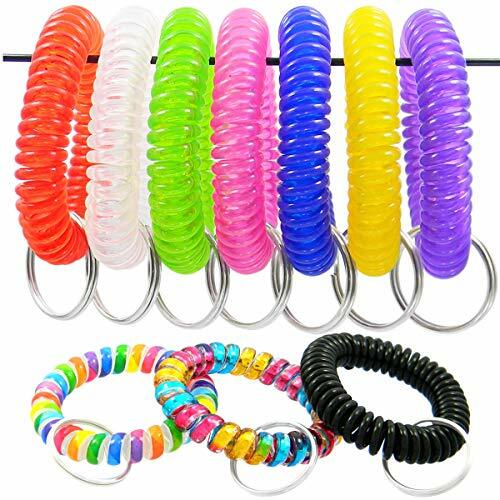 These colorful spiral coil wristbands with key rings are made from high quality durable plastic. 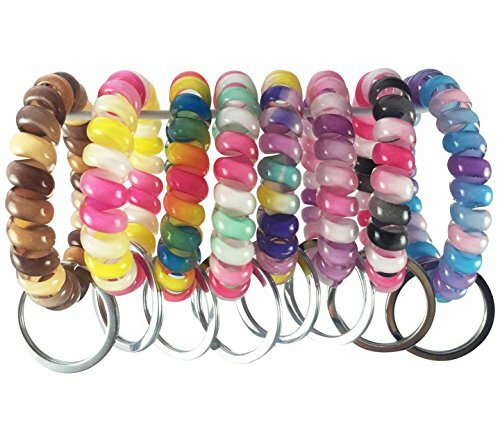 Soft and flexible that fits any size wrists. With bright colors they easily attract eyes. Great for Sauna, Shopping mall, Home, Office and any other outdoor activities. 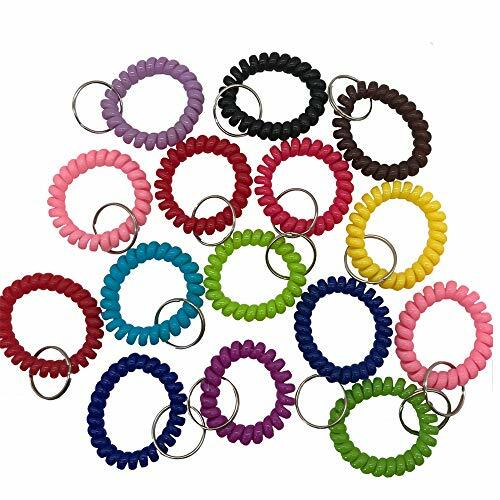 Shapenty spiral wristband is made of soft and comfortable plastic, it is not just a key ring, but also a decoration for your wrists and ankles, Great for outdoor sport, swimming and other water sport, home, office, etc. OUTSTANDING FEATURES: 1. Made from superior durable polyethylene composite material, feels soft and comfortable when wearing. Available all the year round with good performance.If a good quality is the must, these are the ones you are looking for. 2. Sturdy design with thick coil lines, not afraid to get wet. 3. 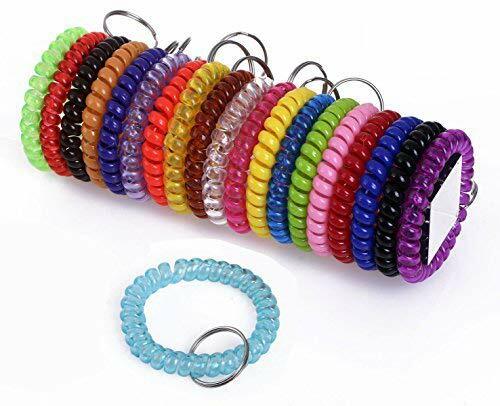 Free size unisex design that fits any size wrist, 1.6 inches incircle diameter spiral coil ring with 1 inch diameter metal key holder keeps your keys safe and no worrying forget your keys any more. 4. 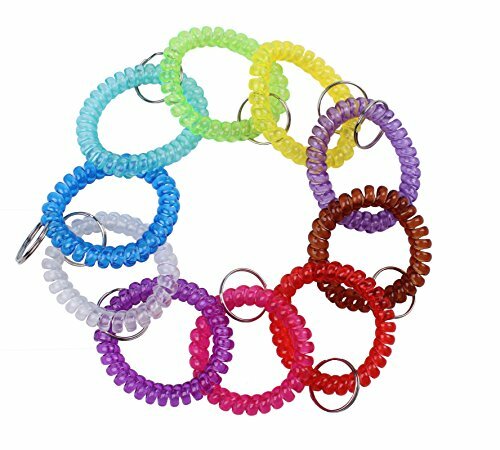 Bright crystal-clear candy colors easily attract eyes and quick to search. Note: In order to help our valued customers get best quality items and service, we will not authorize other sellers to sell this Shells Group products, including amazon.com. please make sure aware of this message before you place the order. thanks a lot.